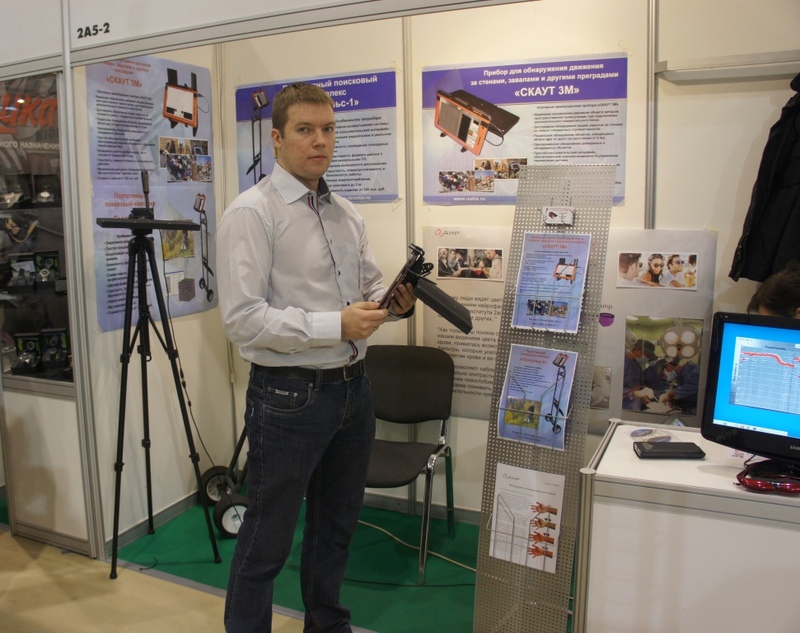 Participation in “Interpolitex 2012” exhibition – Ледомер. Георадар. Контрольно-индикационный прибор Пикор-Лед. Официальный сайт ООО "ФПК "ЭСТРА" производителя георадара Пикор. 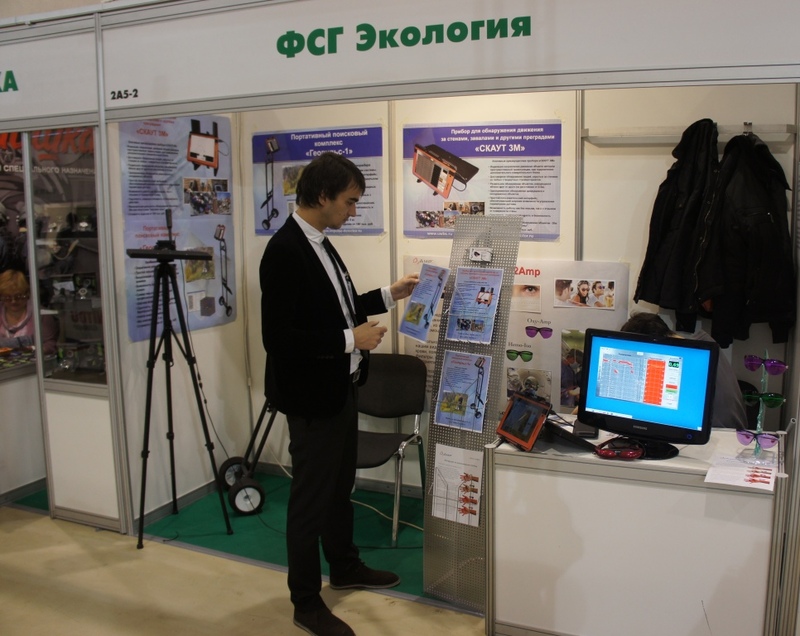 On October 23-26th 2012 JSC KBOR together with our partner FSG Ecology company participated in the XVI International Exhibition of State Security "Interpolitech 2012". 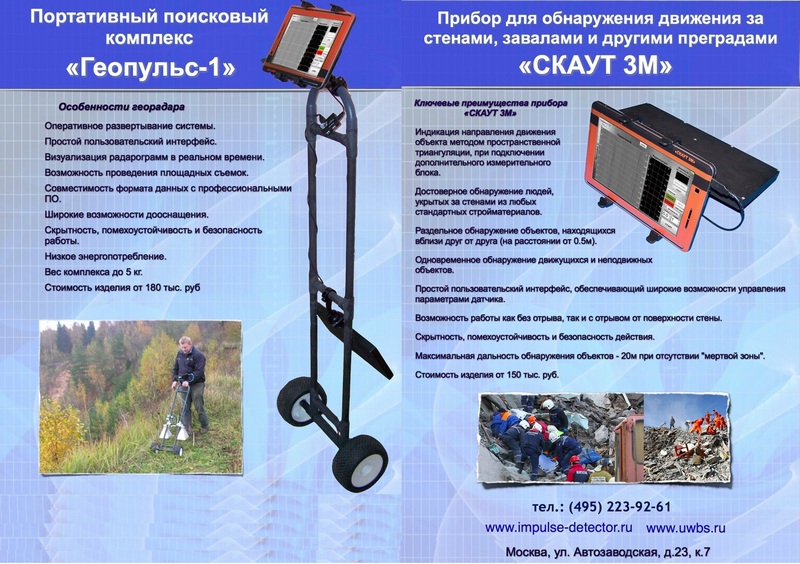 Among a variety of devices and other products, new products Scout 3M (a device for movement detection behind walls, rubble and other obstacles) and portable searching GPR Geopulse-1 were presented. - The cost of the product is several times lower than market analogues. - Weight is less than 5 kg. These devices have attracted interest of many participants and visitors. Scout 3M device can perform a different tasks in field of security and detection of criminals activities behind obstacles in the interest of law enforcement agencies and commercial security services. It also has a significant competitive advantage over similar products on the market. Some arrangements were made with the Interior Ministry and other structures to conduct device testing. Portable searching GPR Geopulse-1 can be used for efficient search of buried objects, mines (including non-metallic) in the ground up to 1 meter depth and more.